Officer Prescott was born in 1944 and was a resident of Newmarket. Prior to his employment at the Rockingham County House of Corrections, he had been an officer for the Newmarket Police Department and the University of New Hampshire Campus Police. He attended Dover High School, served his country in the United States Air Force and was a member of the American Legion. 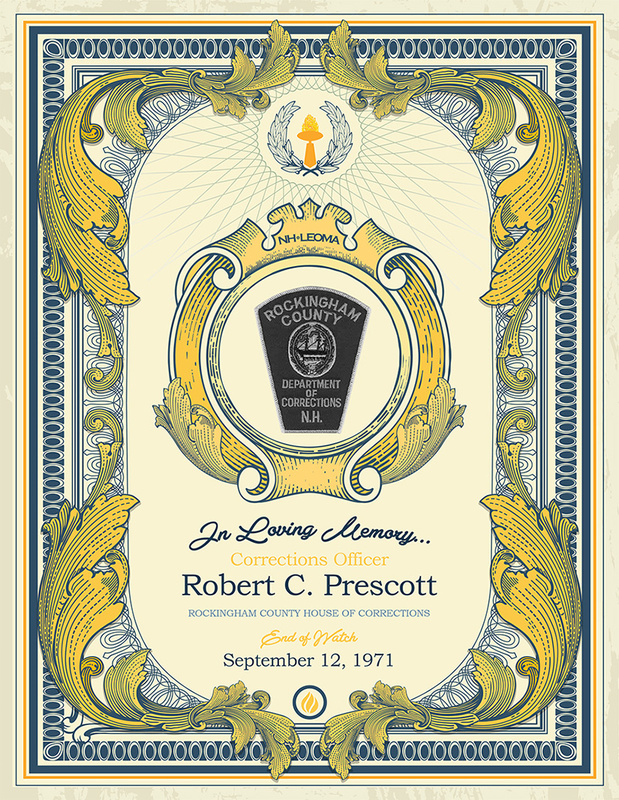 On September 12, 1971, Officer Prescott was on duty at the Rockingham County House of Corrections when a prisoner, using a makeshift knife, fatally stabbed him. Officer Prescott died from his injuries before he reached Exeter Hospital. He was 27 years old.